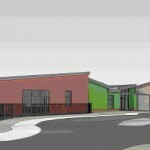 The new Northgate School-but have they got the design right? At today’s Sedgemoor District Council Development Control Committee the long awaited proposals for a new school on the Northgate site were passed but with a condition that officers re-look at the design to break up the facade. The committee voted 11 in favour 1 against and 1 abstention. Full text of Cllr Smedleys presentation from Town Council and Westover ward. 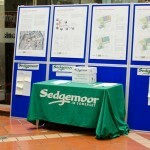 “Bridgwater Town Council wants to support this project and SO we have directly engaged in the consultation process, crucially by setting up our Town Development Forum-which brings together a wide cross section of the town so that this time round the people of the town can actually be a part of a project that affects them. As a result of these meetings we have broadly supported the grand design. However now we are moving into a potentially more critical phase as the detail becomes apparent. We support the Leisure led facility and the enhancement of Brewery Field but are concerned at the phasing priorities of these options. We feel enhancements should be brought forward, possibly as part of the celebration mile and which included the docks to town centre links as a major attraction – we suggest a 2 pronged approach to the Celebration Mile be a priority – simultaneously focussing on both station and docks to town centre. We want to be assured of sustainable walk/cycle routes and adequate car parking/drop off which doesn’t affect residents. We are concerned about the low priority of the crucial junction works and the tying of them to commercial considerations rather than making them concurrent with the school. 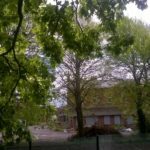 We are concerned about the major loss of trees – the ‘arb report’ identifies a loss of 30 TPOs and so we want reassurance that this will not be some treemaggeddon but could instead be compensated by replacement and less drastic reduction especially the tree shield along Anson Way. The proposed development would result in an increase in the amount of hard landscaping there and so attention should be paid to the 20 year Flood Action Plan – Guide to Water and Land Management or avoided altogether by enlarging the school footprint at the expense of the additional retail which would further avoid conflict with the existing town centre which is another of our stated priorities. Traffic movements are also a concern, the area around Northgate is particularly busy at what would be school opening and closing times, the towns roads can become gridlocked very easily as has occurred on a regular basis. “Finally we are concerned about the continued fascination with supermarkets. Bridgwater is well served by Supermarkets – Asda, Morrisons, Sainsburys, Aldi, Iceland, Lidl, Farmfoods and so would urge the alternative development of the hotel option, noting that the current attractiveness of Hotel chains to Bridgwater is a positive development and can further extend the micro economies in neighbourhoods where they are introduced.